Having a mentor can be an absolute gamechanger, especially for working moms who are figuring out how to make their career work post -motherhood. 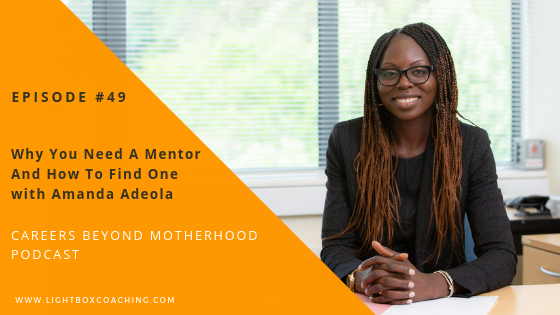 On this episode, Amanda Adeola, family lawyer and boss mum of two, joins us as an advocate for mentorship. As mentorship played a role in Amanda’s career from an early age, she talks through the benefits of being on either side of a mentor relationship, and provides guidance on how to kickstart that kind of relationship in your own life. She reminds us that there is always someone who has come before us, and that there is no value or need in going it alone. She also shares how her work in family law shifted slightly to better fit her new life as a mum, and some words of advice on surviving the transition. What’s next for her mentorship journey? Working Mum – how does she make it work? Amanda is mother of two, a family solicitor at BHP Law Darlington, and an advocate for diversity in the legal profession. Since Amanda was a little girl living in Nigeria she wanted to practice law, and she now attributes her success to a string of generous mentors along her career journey. Amanda has been a dedicated and ambitious solicitor for nearly 10 years, and before motherhood, she described her life as full-on and busy, working 5 days a week plus odd emergency late night hours. When her son was born in 2011, she found that she not only needed to cut back to 3 days a week and stop working late, but also shift the focus of her work altogether. Now that she had a family of her own, she found her work on child-family separation cases was too emotionally impactful. She now finds fulfillment by balancing time with her family with her work on more divorce and finance related cases. “All you have to do is ask.” That is Amanda’s simple key to success. Reaching out to and learning from other people has been common sense to Amanda since she was young, and she claims that it has been key to getting her to where she is today. She knows that many people are afraid of rejection or feel like they are asking too much of the person they want to connect with, but she says that never in her life, has anyone ever said no to her. Most of the time people are happy to help and feel good that they have something to contribute. As long as you are respectful of their time, specific in your request, and receptive to their guidance, she thinks that it can only be a fruitful experience. How do you become a mentor? Amanda’s similar prescription is to just get out there! Yes, it is wonderful if you can find a structured mentoring program to join, but Amanda laments that there are too many people who just sit around waiting for an opportunity to fall into their lap. She wants to push people to put themselves out there because you never know how a simple interaction or a bit of knowledge that you have, can impact a young person. Reach out. Find community and support in others that are going though, or have gone through, similar challenges. Amanda knows that it can be difficult to let go and accept help from others but argues that the benefits far outweigh the initial discomfort. Keep some YOU-time. Make it a priority to find some time for yourself. For Amanda, that is a 2 hour nap once a day that allows her to some space and peace, to reset and just be herself. Find rhythm. Create patterns, structure, and clear schedules to save brain power and precious time. Set boundaries. Switch off the business mode at home. That means no tablet, no phone, no email after hours or on weekends. When Amanda finds herself at her limit, she thinks of her mother raising 8 children, and her grandmother raising11 kids. If they could do it, then she can too. Amanda’s favorite quote also comes from her mum which is translated from her native Nigerian language Yoruba. “Many species of birds fly in the sky but they never collide” basically everyone can thrive so help each other, support each other and don’t see everyone as your competitor. When you start to envy what other people have and you’re not being Supportive of other people, things won’t work out for you. Amanda encourages listeners to acknowledge their own greatness. Janine Esbrand helps working moms thrive in their careers and in motherhood. 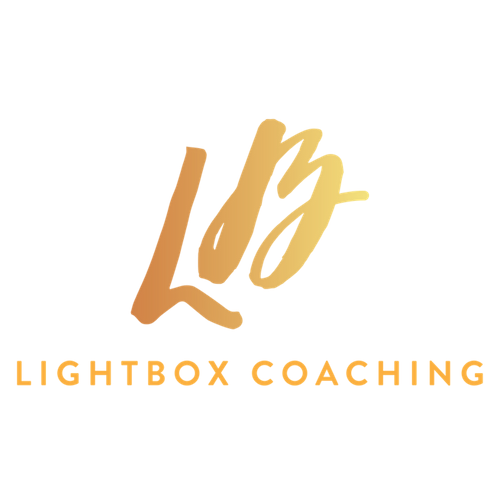 She shares tips and inspirational conversations with awesome women to help reduce the struggle in the juggle. For more from Careers Beyond Motherhood follow us!